Within our 2 hours tour you will be taught how to ride a bike in Dubai off road and our best highly-experienced instructor will help you to grow your skills and confidence. 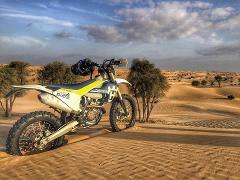 Take a dirt bike and roar through the desert on an exciting 4-hour off-road motorbike experience in Dubai. For those who have advanced riding experience, our company is offering Dubai bike rental services with 4 Hours Advanced Tour. Within our 2 hours beginner tour you will be taught how to ride a bike in Dubai off road and our best highly-experienced instructor will help you to grow your skills and confidence. Custom Desert Full Day Tour is an independent travel by a motorbike arranged special for you and your friends. 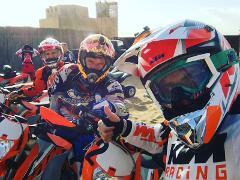 MxDubai is offering 2019 KTM for rent in Dubai. Custom Desert Two Day Tour is an independent travel by a motorbike arranged special for you and your friends. Mxdubai is offering 2019 KTM for rent in Dubai. Custom Desert Three Day Tour is an independent travel by a motorbike arranged special for you and your friends. MxDubai is offering 2019 KTM for rent in Dubai. 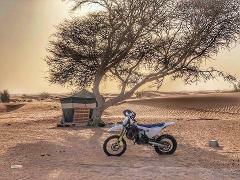 On our Enduro tour in Dubai we are offering you the chance to BRING YOUR OWN BIKE. Suitable for large trailies, adventure and off-road bikes. 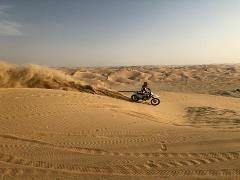 We also offer assistance during you ride your own motorbike in the Desert of Dubai. 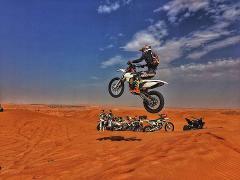 Take a dirt bike and roar through the desert on an exciting 3-hour off-road motorbike experience in Dubai. For those who have advanced riding experience, our company is offering Dubai bike rental services with 3 Hours Advanced Tour.